Just when their luck seems to turn better, bad news arrives again for Fiorentina as the latest reports stated their the Florence based club will be loosing their captain, Ricardo Montolivo, longer than earlier prediction. Montolivo, who apparently has been under rehabilitation and also playing with the help of pain killing injections for about five months now, can’t seems to take the condition anymore and finally opted to do an operation. 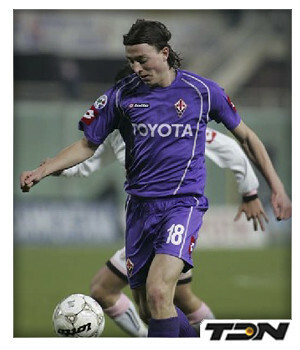 The Italian international operation plan has also been confirmed by his club via the Viola’s official website which stated that the persistent pain Montolivo’s having was the main reason for the operation. Not only that, the site also informs that the 26-years-old first picked up the injury during the 2010 World Cup and that the surgery itself will be made by Professor Van Dijk in Amsterdam on November 15. “Considering the persistent pain in Montolivo’s ankle, despite the conservative therapy, the athlete will go under the knife to resolve the situation,” The problem started after a trauma during the World Cup in South Africa. The operation will be performed on November 15 in Amsterdam by Professor Van Dijk,” read the statement on Fiorentina site. With this confirmation it seems clear that in this early part of the season, Montolivo has been playing with an injury which probably made his performances on the field isn’t as inspirational as he used to be. Aside from that, the surgery also means that Fiorentina won’t be able to play their skipper for quite a while as the 26-years-old will need some recovery time after that operation. Unfortunately, there are still no official confirmation on how long would the recovery process take place although the Italian press does speculated that Montolivo will probably be absent for at least a month. The Italian international absence adds up the list of unavailable players that the Viola have for the time being as previously they already missed some important players because of injury such as, Stevan Jovetic and Sebastian Frey.